From Annie Freud’s latest collection The Remains. the phone clapped between shoulder and ear. People kept telling you: what you want to do is . . .
I’m doing this my way. From Annie Freud’s latest collection The Remains. Read another poem from the collection here. 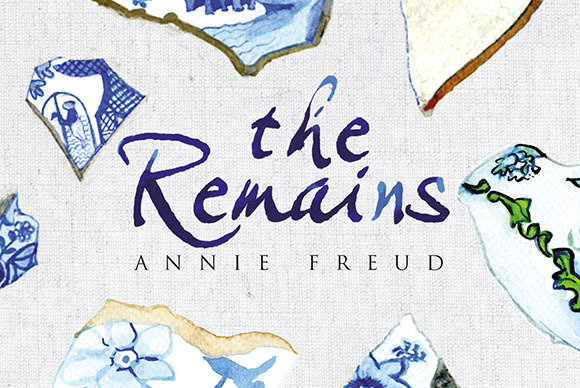 nnie Freud's new book The Remains was inspired by a visit to an exhibition of Sung Dynasty works on paper, and their unselfconscious blending of illustration and poetry. However the book has its imaginative origins in a huge collection of broken household china amassed by the author while digging her garden. Stranger items also came to light: a minute horseshoe, a fossilised scallop shell, a rusted metal silhouette of a hound. The Remains is concerned with what is left when everything seems broken or lost - and the new and unexpected things that happen when they are found again. Beautifully illustrated in full colour by the poet herself, The Remains is a powerful book of consolation and surprise from one of our most original literary voices.